Very Positive (28) - 82% of the 28 user reviews in the last 30 days are positive. Very Positive (628) - 83% of the 628 user reviews for this game are positive. Hermitage Strange Case Files 15% off next week! 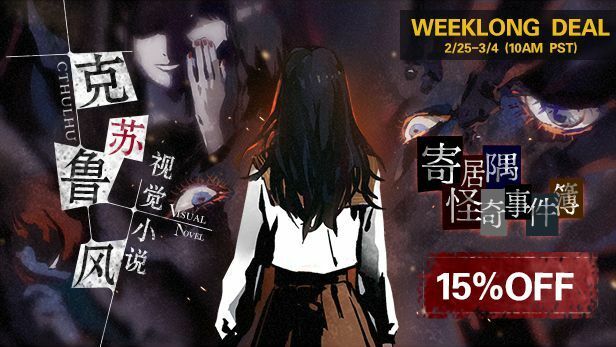 Hi All~ We are happy to announce that Hermitage Strange Case Files will join the Steam Weeklong Deals next week with 15% off! ©bilibili Game. ©2016-2018 Arrowiz. All rights reserved. 寄居隅怪奇事件簿,寄居隅怪奇事件簿 logo, Arrowiz and the Arrowiz logo are trademarks of Arrowiz in China and/or other countries.